ClearCorrect is a clear aligner used to straighten teeth as an alternative to traditional metal braces. Similar to other clear aligner brands (like Invisalign) available to dentists or orthodontists certified to offer them to their patients, ClearCorrect straightens teeth using a series of clear, custom-made, removable aligners that gradually move teeth a little bit at a time, eventually correcting the teeth and smile to elicit a new, revitalized look. Your records — including impressions, photographs and radiographs, along with a prescription for your custom-made aligners — are sent by your dentist to the ClearCorrect laboratory, where an exact 3-D model of your teeth is created. Your ClearCorrect treatment team then maps out a complete treatment plan showing the gradual realignment that will reposition your teeth from their current position to where your dentist wants them to be. The “treatment set-up,” a computerized representation of your teeth before and after treatment, is available for viewing after treatment planning. You receive your treatment set-up by email and respond with your approval or any adjustment requests. Using the most up-to-date digital mapping and molding technology, custom aligners then are created with computer precision. ClearCorrect treatment involves four phases of aligner therapy. Each phase requires a new set of aligners that are worn for a three-week period. The time between each phase allows for control and flexibility. ClearCorrect aligners are worn all the time, except when eating and drinking, or while brushing and flossing. Designed with aesthetics in mind, ClearCorrect aligners are barely noticeable and won’t have an impact on your daily routine. After wearing each aligner set, results will be noticeable as your teeth begin slowly adjusting and aligning to your desired smile. Periodic check-ups with your dentist are required so your progress can be evaluated and you can be given the next set of aligners. This sequence will continue until you have achieved your new, ClearCorrect smile. Unlimited: Patients are provided with as many aligners needed to complete the case. Limited 12: Patients are provided with 12 sets of aligners. Limited 6: Patients are provided with 6 sets of aligners. The cost of treatment varies from option to option, with Unlimited at the top of the cost spectrum. To determine the best treatment option for you and to further evaluate costs, setup a consultation with a ClearCorrect provider in your area. Who Can Benefit from ClearCorrect? ClearCorrect currently is available to treat adults and teenagers. (Compare with Invisalign Teen.) Children who might not have all of their molars and senior citizens who present with more complicated dental cases also may be candidates for ClearCorrect, but should consult with their dentists to determine the treatment option that best suits their needs. In cases where ClearCorrect is not suitable for certain misalignment cases or complex bite problems, traditional orthodontics can be used. However, traditional metal braces are attached to the teeth and adjusted periodically by your dentist, and they are not removed until your treatment is complete. Also, traditional braces might hinder your ability to perform routine oral hygiene tasks and might interfere with eating and speaking. On the other hand, ClearCorrect aligners are custom fit to your teeth to provide an irritation-free treatment, with nearly no adjustment discomfort. ClearCorrect and Invisalign both are a series of clear, custom-fit, removable aligners that slowly realign teeth into the desired position. Fabricated impressions then are used to create a 3-D model of the teeth. ClearCorrect and Invisalign are possible solutions to correcting such problems as crowded or spaced teeth, overbites, underbites and crooked (turned) teeth. ClearCorrect aligners offer enhanced clarity (meaning they’re virtually invisible) and are minimally invasive. They’re also resistant to clouding from wear. ClearCorrect and Invisalign aligners are provided in sets, and periodic follow-up appointments with your dentist are required so he/she can check your progress. Invisalign requires 20 to 30 aligners for both the upper and lower teeth, and most adults complete their treatment within a year. ClearCorrect treatment for moderate cases requires 32 steps of treatment, which are delivered in eight phases. Minor cases require 12 steps of treatment, delivered in three phases. However, treatment times vary from one to two years, depending on the specific alignment problem. The ClearCorrect System may improve the way you bite with your back teeth, the alignment of your front teeth, the appearance of your smile, and the overall health of your teeth and mouth. This ultimately can have a positive effect on your oral health and save you money by preventing future oral disease. The average cost of ClearCorrect Limited treatment is approximately £1800 to £3000. The average cost of ClearCorrect Full treatment is approximately £3,000 to £4,500. Of course, treatment costs will vary depending on your specific needs. Only your dentist can determine if ClearCorrect is the right orthodontic treatment option for you. 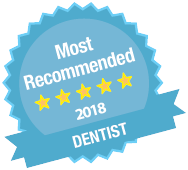 Alternatively, your dentist may refer you to an orthodontist to determine the best option to meet your specific treatment needs.